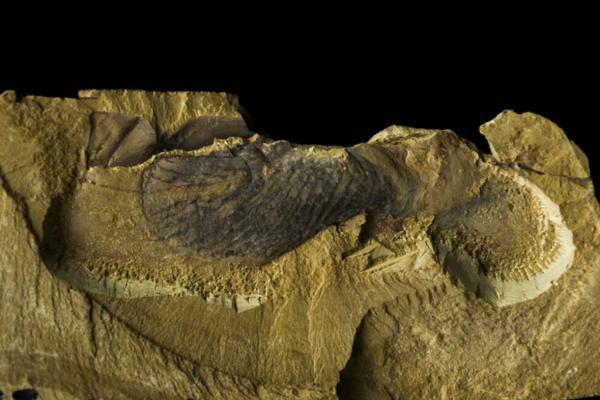 Aug. 20 (UPI) — New fossil analysis suggests the planet’s earliest known animals emerged at least 571 million years ago. The new study — published this month in the journal Paleontology — proves members of the Ediacaran biota are indeed animals and were diversifying for several million years before the acceleration of speciation known as the Cambrian explosion. Stromatoveris psygmoglena hails from the Cambrian period, but dozens of similar blob-like fossil imprints have been found among older strata — rocks from the Ediacaran period, which lasted from 635 to 542 million years ago. “These methods are very frequently used in biology and palaeontology but had not previously been applied to test the wider relationships of these Ediacaran biota,” Jennifer Hoyal Cuthill, visiting researcher in palaeobiology at the University of Cambridge, told UPI. “To help us to compare the Ediacaran biota to a wide range of other groups, from algae to complex animals, we used a popular online system called MorphoBank which allowed us to upload and compare photographs of the fossils,” Cuthill said. Scientists determined petalonamids persisted for some 53 million years, dominating the seafloor in Earth’s ancient oceans. These early animals were more resilient than scientists previously thought. “The common ancestor they shared with later animals was likely to have had a more complex, differentiated anatomy than sponges, for example, setting the stage for further evolutionary innovations among the complex animals,” Cuthill said.